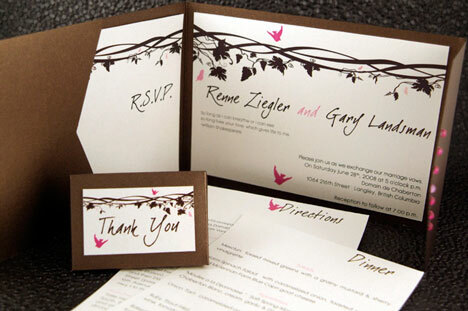 More than any other aspect of a wedding, invitations seem to have changed the most in the digital age. Just a few years ago, your choices were limited to whatever the local store had in their catalogue. Mostly white or metalic paper, scripty curvy letters, lacey edges.. you know the look..
Nowdays, imagination is your only limit. And "custom" is the name of the game. 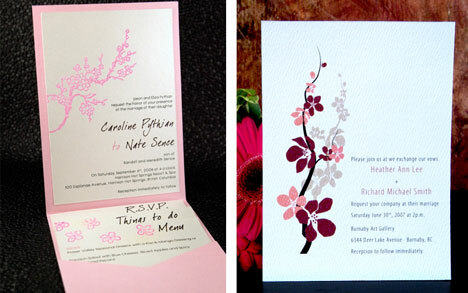 You do not "order" your invitations from a list, you "design" them to suit your theme and your personal style. We looked for some good examples. Found a lot of them on the Daydream Weddings website (a Vancouver-based wedding invitation designer.). Loved the style.. so sharp, so clean, so... Japanese.. 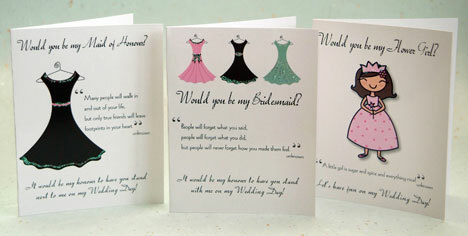 The invitations being custom-produced, almost every piece is put together by hand.